To make room for all the new app icons on the Springboard, Apple introduced homescreen pages. Other notable features that appeared in iOS 2.0 were the ability to open MS Office docs, a Contacts icon, ability to take screen captures, ability to save photos in Safari to the Photos app, parental controls, Genius playlist creation, and the addition of emoji. Push email was also brought to the iPhone via iOS 2.0. 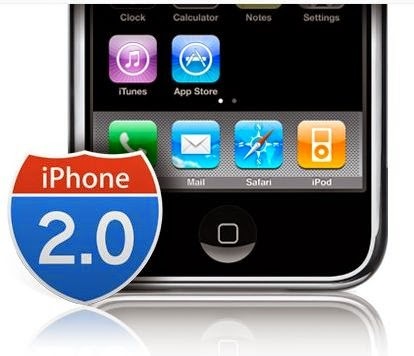 Apple has released firmware OS software update version 2.0 for original first generation of iPhone (iPhone 3G has firmware v2.0 by default) and iPod Touch (unfortunately iPod Touch users will have to buy the iPhone OS 2.0 via iTunes). TheiPhone 2.0 software main feature is to enable the access to App Store with lots of native applications and games from the Apple cellphone or portable multimedia mobile device via Wi-Fi or cellular network. The iPhone OS 2.0 also has tons of other improvements and enhancements. Some of the highlighted features are support for Microsoft Exchange ActiveSync to provide over-the-air push email, contact and calendar syncing as well as remote wipe and Cisco IPsec VPN for encrypted access to corporate networks. Other features include real-time mapping, GPS tracking, geotagging, mass move mails, mass delete multiple email messages, search for contacts, access a new scientific calculator, turn on parental control restrictions for specified content, PowerPoint format viewing support, iWork format viewing support, direct screenshot capturing, MobileMe support, save images directly from a web page or email them to youriPhone and easily transfer them back to your photo library on your Mac or PC. 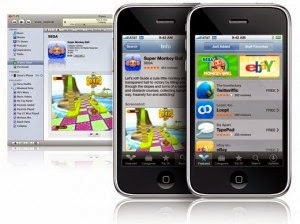 To apply and upgrade to iPhone OS 2.0 firmware, user are required to download and install iTunes 7.7or newer from Apple.com. Then connect the iPhone or iPod Touch to the computer, and then in iTunes, and click on Check for Updates button. If updates available (in this case it sure does), then click the Update button to upgrade to firmware v2.0. However, unlike previous upgrade where settings and media are maintained, do note that upgrade from version 1.x of iPhone software to version 2.0 or later, all data will be deleted and erased in order to install the new software, as pointed out in Apple article. However, iTunes will offer to create a one-time media backup of the device depending on what content is on the device and what content is stored in the iTunes Library the device are connected to. User should ensure that enough free space is available on Mac or PC to accommodate a backup that matches the capacity of the iPhone or iPod touch (4 GB, 8 GB, 16 GB, or 32 GB).